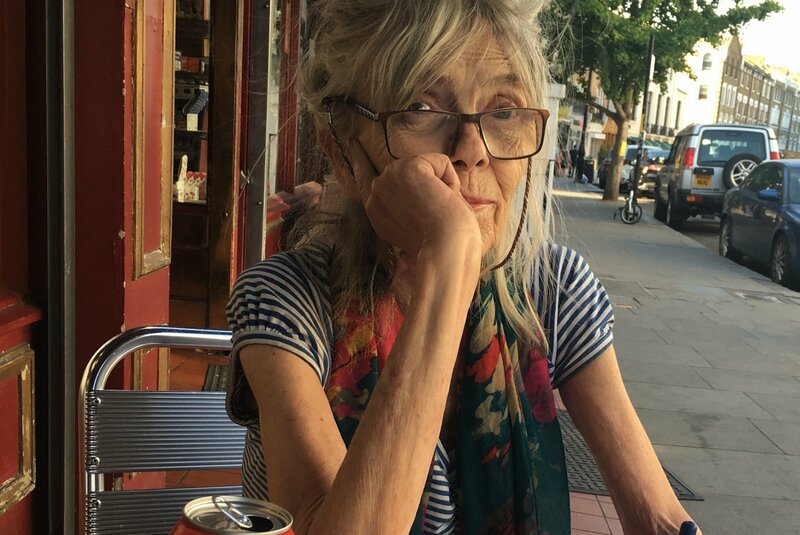 Margaret Leibbrandt, long-time resident and familiar face in Primrose Hill, died in September. She lived in Jacqueline House in the Oldfield estate for over fifteen years. Friend and local resident Judy Rich remembers her. Gnarled, veiny and brown. l like your weathered face. Wise Walking Woman – I want to know your story. Little did I know then that Margaret’s stories would unfold for me, but not for many years. Margaret recovered, miraculously some say, from her wandering years when she suffered from depression. Years later she would write to me about it. In 2014, almost seven years after my first sightings of her in the neighbourhood, Margaret wrote a letter to our cat, Miss Kitty. We did not have a cat flap and Miss Kitty would wait patiently on the step for a door opener. Margaret would stop and talk to her on her early morning walks to the post office for milk and cigarettes. One day she slipped a letter through our mailbox with a love letter and a cat nip mouse addressed to ‘the cat on the doorstep’. Margaret was thoughtful enough to put her return address on the envelope and I replied as ‘Miss Kitty’s mother’. A tsunami of cards, words, letters, poems and memories poured forth from Margaret over the years. Even though we lived three blocks away from each other, we shared the love of letter-writing. Margaret’s letters were never dull, although it would take ages to read them, my husband Richard carefully decoding her artful handwriting. Her letters were funny, thoughtful, curious, courageous, spiteful and sometimes angry: rants about Trump and Boris Johnson, funny stories of friends and family, her neighbours, memories from her childhood in South Africa, reviews of the latest books she’d read, her childhood romance with Roy Rogers and her love of learning. Margaret’s letters would be woven with lines from her favourite poems and dotted with child-like drawings. Margaret wrote letters to her favourite poets and well-known authors – including Wendy Cope, Andrew Marr, Clive James, Alan Bennett – and often received handwritten letters in return, which was unheard of in these days of computers and email. Margaret loved Primrose Hill. Here is what she wrote in late summer when she knew her time in Primrose Hill was limited. “Muffins and coffee at 10 pm. A quiet evening at home after a happy day sitting at my table outside Shepherds. It’s important to me that I don’t become an invalid. My world is small and safe. I like going out with my chariot, popping into the bookshop for chats with Alice and Jessica, buying cards, Rageeta’s welcoming smile at the Post Office, seeing Dr Jonathan at the surgery. He will look after me well and see that Marie Curie has a place for me … later on … before the end. Sadly that one small cat – Miss Kitty – passed away several years ago; but Margaret continued to refer to her as the root of our friendship. In her last days Margaret enthusiastically planned her funeral with Ros Miskin at St Mark’s, selecting her favourite poems and hymns and designating friends to read them. She wanted the service her way ? and that was just like her: feisty, independent and bossy to the end!